For many of us, Christmas is a time for family. If we have loved ones that live far away, it is often one of the few times a year we get to spend time with them. This Christmas, many people will be hitting the road, cars packed with presents, off to visit family and friends for a few days of festive merriment. For those of us who are hosting guests this Christmas, it can be tricky deciding where to put people and how to fit everyone in. 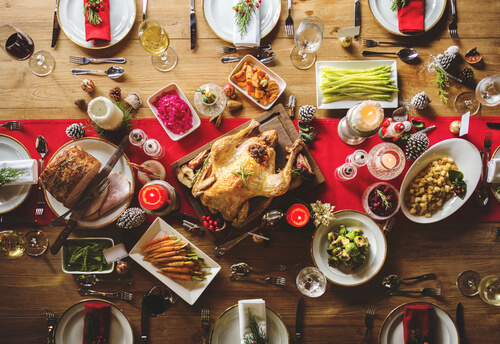 Fortunately, we’ve put together some tips and hacks to help make hosting people this Christmas an enjoyable, stress-free affair. If you’re fortunate enough to have more than one bathroom or a separate toilet, you’ll hopefully be spared the pain of shared bathroom drama. However, for those of you who are concerned about sharing a bathroom this Christmas, here are a few tips on how to make it as easy as possible. In most households, there are peak times where the bathroom is most in use. Typically in the morning, when everyone wants to shower and brush their teeth. While your house is more crowded this Christmas, try to be more flexible around bathing times. Take a shower during an ‘off-peak’ time while the family is busy watching television or out walking the dog. 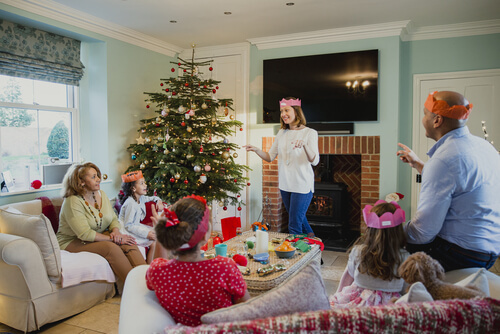 Offer rewards to kids for keeping their bathroom time short, such as choosing the Christmas movie or an extra serving of pigs in blankets. Consider the other used for your bathroom, such as the storing of medicines, cleaning products and first aid kits. If you need to access these when you’ve got family staying, you don’t want to have to wait for someone to finish in the bathroom first. Clear space somewhere else to store these items for quick and easy access such as a kitchen cupboard or your garage. For those family members who like to get ready in front of the bathroom mirror, encourage them to the bedrooms to style hair, put on makeup, etc, making space for others to use the bathroom. Make sure your guests have access to mirrors so that they can get ready easily in their rooms. Avoid unnecessary arguments over someone using someone else’s towel. If you have a bunch of towels that all look the same, grab some coloured thread and temporarily stitch the corner. Each person can have a different colour thread on their towel, so no one will mistake someone else’s towel for theirs. When you think of Christmas dinner, what image springs to mind? The smiling family laughing, pulling crackers and passing their plates for more sprouts? Picture perfect. But what about when you’ve got a tiny table and limited seating? People packed shoulder to shoulder around the table, desperately trying to cut their food with their cutlery at awkward angles. If there are more people than there is space around the table this year, why not opt for a buffet style set up? Let people help themselves to food and then find a comfy place to sit. Guests can still chat and eat together, but without the crush around the table. Or, why not invest in a camping table for the kids? You can often find relatively cheap camping tables that are the perfect size for kids and will help provide some much needed extra table space. Need extra chairs? Stools are often cheap and can be easily stored away or even used as extra side tables if required. If you’ve got kids, why not put an air mattress on the floor beside your bed and let them bunk in with you? Or, you could sleep in their room, giving up your bedroom for your guests. It will be like a fun family sleepover for the kids. For guests sleeping in communal areas such as the lounge, consider hanging up sheets to act as a curtain or getting a folding screen to offer them some privacy when sleeping, getting ready, etc. If you’ve got space under the bed, you could invest in a pull-out mattress for a quick, easy sleeping solution for guests. Many beds come with trundle beds underneath. If it’s only for a few days, most guests won’t mind sleeping on a folding bed or air mattress. Or, why not give up your bed and take the air mattress as a mark of true hospitality? Just make sure the air bed doesn’t have any holes! Make sure to clear some space for guests to store their things, including bags, clothes, wash stuff, etc. This might be as simple as clearing a corner for suitcases, to make sure they aren’t in the way and to help guests feel more welcome. When putting up guests, the first place most of us think of to use as a temporary sleeping zone is the living room. However, at Christmas, this is often the busiest room after the kitchen. Having to clear away bedding so that everyone can cram in to open presents can be a bit of a chore. Perhaps consider instead the untapped potential of some of the other rooms in your home. The dining room for example. Or, how about the office? Do you have a conservatory? Why not put guests up in there, especially if it’s well insulated like a Guardian Roof conservatory. If your house is bursting at its seams with people, another creative option for housing guests is to rent a campervan. If you’ve got a large drive, this might be the perfect solution. Check local campervan hire websites or, if you know someone with one, ask if you could rent it from them over Christmas. This will allow you and your guests plenty of space and less risk of stepping on each other’s toes! 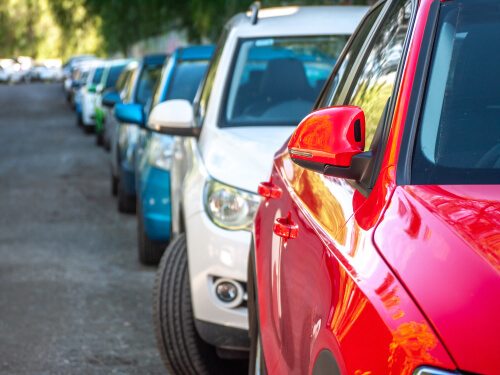 If your guests are bringing their cars, chances are, depending on where you live, that you might struggle to fit everyone’s car in. If you have a drive the obvious option, of course, is to let guests block you in. Additionally, if you have neighbours who you know will be away, ask if you can use their drive or parking space. Scope out your local area before your guests arrive, checking to see if there are any freely available parking spots near your house. Planning ahead will help make guests feel welcomed and less stressed on arrival. Christmas can be a stressful time of year. With so much to do, you can often end up burned out and exhausted come January, especially if you’re hosting people. While it’s lovely to spend time with family, make sure you remember to take time for yourself. Even if it’s just a cup of tea alone while everyone else is out shopping the sales. Finding time for yourself to rest and recover will help you get the most out of the Christmas season. 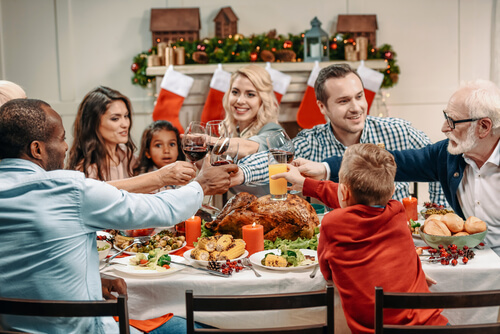 Hosting family and friends for Christmas is no walk in the park. But if you plan ahead, you’ll be able to truly make the most of the time together and come out of it feeling less stressed and more refreshed. Merry Christmas and Happy Holidays from all of us at Stormshield! Stormshield is a family run, independent business serving customers across Newcastle. We specialise in windows, patio and composite doors, bathrooms, kitchens, conservatories and orangeries. We are also one of the few accredited installers of the patented Guardian Roof in Newcastle. Browse our website, or get in touch on 01670 710050 to find out more. Looking for quality, thermally efficient windows in Newcastle? Visit our page for more information.